Think tablet, and you'll see in your mind's eye either an iPad or an Android device. 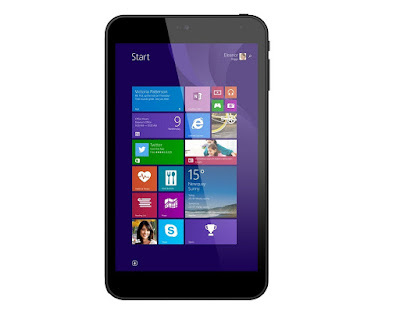 But, and you'll have to stay with us here, you can also get Windows 8 on a tablet as well. Who knew? Despite being designed to work on touch devices, Microsoft's OS tends to get out when it comes to tablet buying. 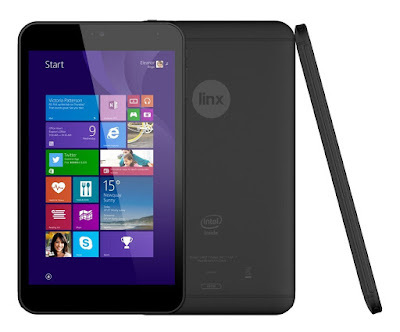 So let's see if the Linx 7 Windows Tablet can sway you. As the name suggest, this is a seven inch tablet by lesser-known manufacturer Linx. The device itself is nice and slim, features a 1200x800p screen (which is glass, not plastic), and feels very sturdy and robust in hand. Inside the specs don't immediately impress, with just 1GB of RAM and a bog standard Intel Quad-core processor. You get 32GB of internal storage, but that can be expanded via the Micro SD Card slot. Speaking of which, along the top edge is the aforementioned slot, as well as a Micro USB port and HDMI. There is the standard volume rocker, headphone jack, sleep/wake button, and also a physical Windows button which takes you back to the Start screen during use. So a fairly good, if unexciting set of specs. But here's the thing: the Linx 7 Windows Tablet costs less than £60 (at time of press, on Amazon), which suddenly makes those details actually sound very good. 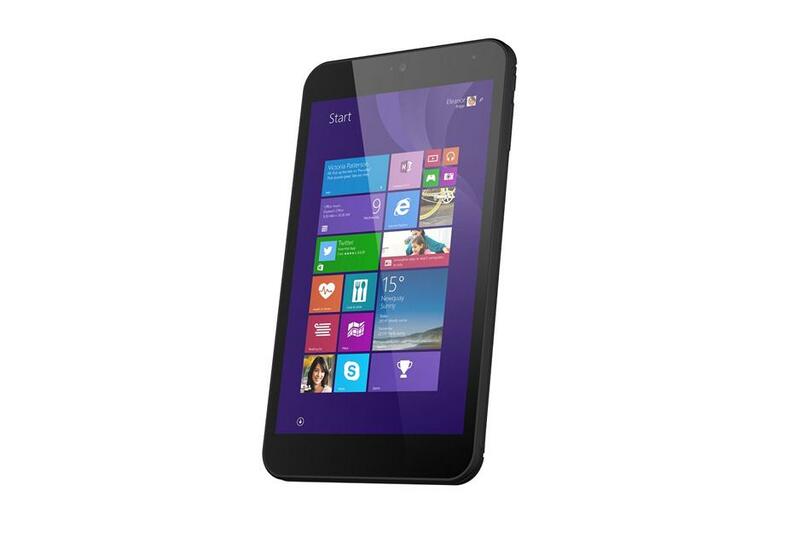 Another surprising element included in that low cost is Windows 8.1 itself. Unlike Windows Phone (which we've always bloody hated, no matter how many updates and tweaks Microsoft plough into it) Windows 8.1 runs on a tablet the same way it does on your desktop computer. This means that you have the option to click away from the finger-friendly 'live tiles' of the Start screen, and open a conventional desktop screen. Pair the Linx 7 with a Bluetooth keyboard and mouse, and you have an extremely portable version of your personal computer. Another big plus to using the Linx like a computer, is that a year's subscription to Office 365 is included. That means this is a real alternative to a Windows laptop, and if you plan to use it just for work, opening spreadsheets and Word documents, those "unexciting" specs actually start to sound impressive. But the Linx 7 Windows Tablet is still just that; a tablet. So how does it perform when compared to the iOS and Android platforms? Well, look at it this way... Whenever we mention the availability of an app for a certain product or gadget, you'll notice we mention the above two operating systems quite a bit, but never really Windows. The Windows equivalent of the app store is still, even after all these years of competition, woefully under populated. If you plan not to do all that much with your Linx 7 than send emails, chat on Skype, watch Netflix, and browse the Web, you'll be fine. Those looking for the varied mix of weird and wonderful software they are used to filling their Android tablet with will be disappointed. The basics are there (and run very well and smoothly on the Linx) but there just isn't enough choice or options to customise your experience. But all that is Microsoft's fault, and not down to Linx. Even when running several apps at once, while streaming Netflix and dipping into web pages, the tablet worked excellently well, never struggling with pretty much everything we threw at it. That is testament to a well made bit of kit, and every time we use it, hold it, sniff it even, we forget that this is technically a 'budget' tablet. It doesn't look or act like you would expect a tablet that set you back no more than sixty quid to act. The only thing about the whole package that screams cheap is the main camera. At just 2MP, and with a grainy, poor quality sensor, the camera is largely useless. But, as we've said before about tablets, if you're buying them to take photos, you must be a nutjob. That thing in your pocket, the one with which you send drunk texts to your ex, that's got the decent camera. Okay? So although we can't help but feel slightly disappointed by the Windows operating system as a mobile platform, the Linx 7 is a very plucky little contender that does a great deal for such a low price.